The holidays are upon us once again. I've been pretty busy trying to get some christmas presents done. This Christmas Sophie is one of my favorite Reaper models. I've also had quite a few new commissions. First up is the Witch Hunters Crew, I really like all the guild models so these were fun to paint. I kept everything in a simple brown scheme, Samuel really feels like a Daniel Boone/Davey Crocket character. From the few tournaments I've been to he seems to be an auto-include for most guild players. The Witchling Stalkers and Sonnia Criid are also really great models and don't need much work to make that look really great. 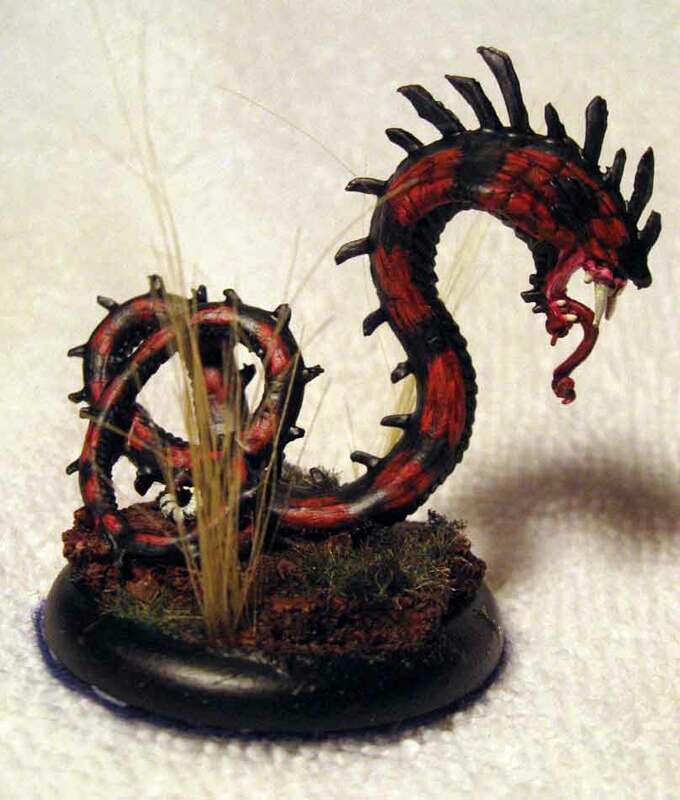 In addition to the guild models I just finished a few models for the Arcanists. The Ice Golem is such a pleasure to paint, washes and light dry-brushing bring out the detail. I stuck with the same color scheme as the Ice Pillars. The sabertooth was painted similar to the studio scheme. The Rattler started off using the same colors as a coral snake but the spines made it too busy. The black and red stripes give it the feel requested without detracting from the sculpt. You can see more photos in the gallery section.